The less said about the Swansea game the better. It started badly and got more and more depressing as the game went on. Losing Ogbonna and Collins before the match was a blow, but not really why we managed to perform as we did. We now have 9 games remaining and in those 9 games we will really see who is up for a fight and who is just collecting a wage without earning it. We now have a couple of home games against teams which we really should be confident of giving a good account of ourselves and have a good chance of collecting the 2 wins that would really help us breath a bit easier before the home stretch of games. 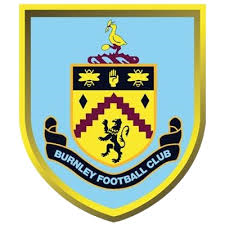 Burnley are up first and while many would imagine we should be beating Burnley easily, It never is. Burnley are up flying in 7th place in the league and only 5 points behind Arsenal in 6th. But they have only managed 1 win in their last 6 games so might be accused of going into cruise control a little too early. Though I doubt Sean Dyche will admit to that. West Ham in the mean time have not exactly been setting the world alight either the past few games, also winning just the once in their last 6 matches. The last 2 games have also seen us get a bit of a hammering so I presume confidence is not great in the dressing room at the moment. David Moyes will have a tough job getting the players ready for a crucial period of the season. Injury wise there is some good news. Ogbonna and Collins return to the line up after missing the game against Swansea. Bad news is that Sam Byram and Winston Reid look like they will both miss the rest of the season and will join Obiang, Carroll and Fernandes on the side lines. Arthur Masuaku will serve the final game of his 6 match suspension and it remains to be seen if he will return to the team. Burnley will have almost a full squad to pick from apart from Heaton and Arfield who are not quite ready for a first team recall yet. West Ham United : Hart, Zabaleta, Cresswell, Ogbonna, Collins, Antonio, Mario, Kouyate, Noble, Lanzini and Arnautovic. Hart returns in goal and although it’s not that surprising as Adrian has had a couple of poor games but it is worth remembering the keeper is not always at fault for goals conceded. Collins and Ogbonna I think is crucial for us and I really hope they can both stay injury free from now till the end of the season. Mario will give us an extra outlet creatively while hopefully taking some pressure off of Lanzini, who I think is due a big game for us and he will be the difference in a 2-0 home win bagging both goals. It’s important to start getting the wins on the board now and not to hope other teams slip up. The sooner we get the points on the board the happier I and everyone else associated with West Ham will be.